UNION steel ministry is giving final touches to a new National Steel policy (NSP) focusing on infrastructure development, securitization of raw-materials and human resource development for growth of the steel industry. The new policy is likely to have far reaching impact on the production of steel by PSUs like SAIL (Steel Authority of India Ltd). Union minister for steel Beni Prasad Verma disclosed this... at an ASSOCHAM event held in New Delhi on Friday. 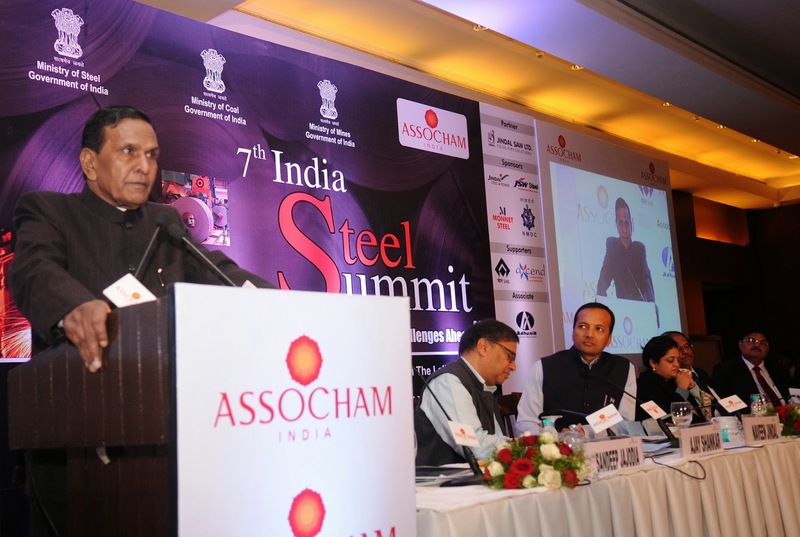 “Need for utilization of lean ore, improving product mix, better logistics are some of the key areas”, said Beni Prasad Verma while inaugurating an ASSOCHAM 7th India Steel Summit “Realizing 300 MT – Challenges ahead”. On the key thrust areas, the minister said the product basket offered by Indian steel manufactures must also be enlarged, keeping in view the changing requirements of customers. He said that the Indian steel industry needs to invest more in research and development (R&D). The Union minister added that the transportation of raw material through slurry pipelines could be good alternate solution for movement of inputs. Logistic is another area of concern, in addition to developing rail, road and port connectivity, transportation of raw materials through slurry pipelines can address this problem effectively, added the minister . G Mohan Kumar, secretary, ministry of steel said that India needs to invest heavily in developing technologies for product developments – many varieties of ally steels which are required for the fast growing manufacturing sector. He said, our efforts are plant based and narrow in focus. Addressing the event, chairman of SAIL CS Verma said the Indian steel industry may face huge shortage of skilled workers by 2025 with the gap going up to as much as 60 percent. India currently has a steel manufacturing capacity of around 90 million tonnes per annum (mtpa) and the country aims at increasing the the capacity to 300mtpa by 2025. Verma said there will be demand for 105 lakh skilled workers in Indian steel industry compared to the supply of 41 lakh by 2025. “Steel companies need to come together for deploying fund for building up infrastructure for higher educational and vocational training,” Verma said. The SAIL chairman also said more than $200 billion would be required by the steel industry by 2025 for envisaged capacity addition and as such, dedicated financial institution was required for expansion of the steel industry. “We cannot be satisfied by the journey covered by Indian steel industry till now and remain happy about the potential of our steel industry,” Verma said. “We need to be prepared to traverse this journey taking all the stakeholders along with us in the exciting journey of the steel industry to reach 300mtpa by 2025.” Verma added.